Ngoc, 17, competed in the women’s 57kg category. 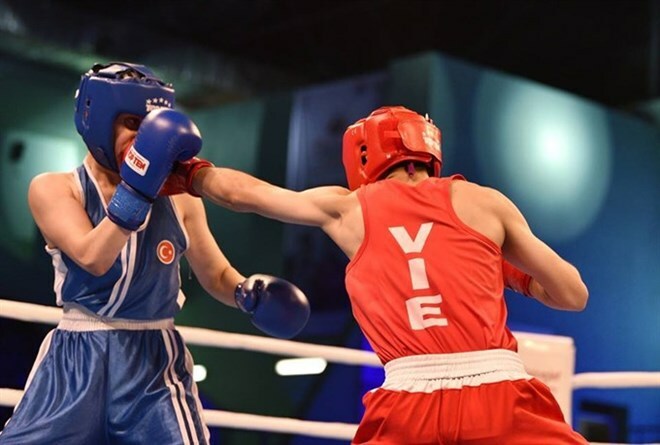 The athlete from Can Tho is one of the country’s most outstanding young boxers. She grabbed a silver at the national championships and a gold at the Southeast Asian Youth Boxing Championships earlier this year. She was the sole Vietnamese representative at the world tournament in India. In the semifinals, Ngoc won 3-2 against Chinese Hu Cailling. Her victory made Ngoc the best Vietnam boxer at a world event. The world tournament, which closed on November 26, attracted 160 athletes from 31 countries and territories, punching in 10 categories ranging from 48 to 81kg.